Travel photography is, without a doubt, one of the most demanding ways to create images. Together, travel and photography is a beautiful combination of complexities that include photography skills, social skills, travel planning, schedules, and so much more. As if that wasn't enough, many photographers love to make their travels count (a very reasonable thing, indeed) and get involved in various styles of photography during the same trip. Therefore, giving your workflow the input of technical knowledge is crucial and wise. The following list of 18 Best Photography Books for Travel Photographers will help you make your workflow leaner and more organic to make every resource count when you are traveling. The very first time I was introduced to Q.T. Luong’s photography was when he was part of a roundup post on PhotoTraces.com’s "Top Travel Photographers Reveal Their Favorite Locations Around the World". Not surprisingly, Luong featured the Yosemite National Park, which was the very first park he visited over two decades ago. 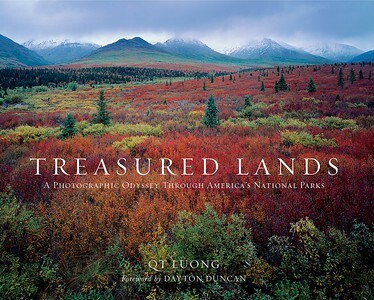 Twenty years later, Luong has visited every single national park and has captured their beauty with his large format camera. His new book is a reflection of his love and passion for the beauty of national parks. As Dayton Duncan points out in his foreword, this book is the culmination of Q.T. Luong's own odyssey to do what I don’t believe anyone else has done to date: to chronicle America’s national parks— every one of them, in considerable detail, using a large-format camera for the iconic shots, in an era of digital images taken from devices you can carry in your pocket. It is a chronicle of firsts and lasts—it is the first time all 59 parks have been photographed with a large-format camera, and likely the last, as the world embraces digital. It will be a benchmark for future park lovers and historians, in the ranks of his storied predecessors. 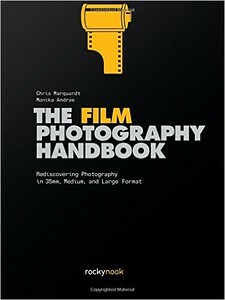 In The Film Photography Handbook offer an easy-to-understand and pretty complete resource to shooting film. The book is definitely not a stubborn position in photography. In fact it fits perfectly in today’s working climate because it includes topics as the hybrid film/digital workflow, digitization of negatives, and even working with smartphones for light metering and to assist in film processing. Here you will learn various important aspects of film photography. From the obvious and not so obvious differences between film and digital photography, how to buy a second-hand film camera, film formats, and everything you need to know regarding film development as well. Despite its dense appearance with a lot of text and few (but intelligent and precise) images to illustrate it, this is a very understandable and complete textbook on photography. 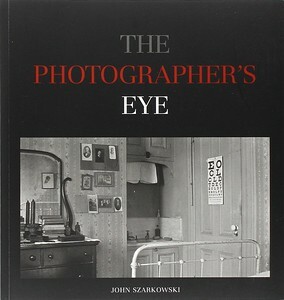 If I could only pick one single book of photography (hope to never be in that situation of course), I'll pick this one. This book is magical because it can be read by beginners, intermediate and even advanced photographers; and they'll all find valuable knowledge here. 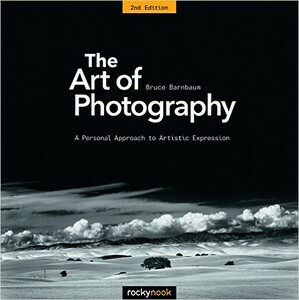 Birnbaum's voice through the entire book is a true evidence of the passion he has for teaching, and for photography. 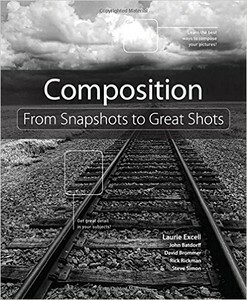 If you want to learn how to create meaningful and powerful photographs, instead of lazy snapping and hoping to correct everything in the computer later, this is the book for you. One of the best things I've ever read on photography, and a great investment as well. Ok, this is not a single book but three great treasures of photography in technical terms. 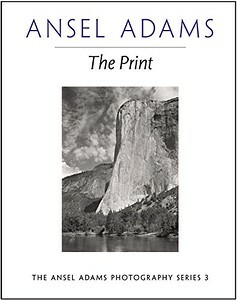 The summit of Ansel Adams were his easy to recognize direct photography; but the unseen rocky road, are the technical aspects he speaks of in this series. I need to be honest with you, I have only been able to read "The Camera", which is a text that explains the tool in a way that allows the reader to predict the results of the final image while still setting up the camera's parameters. "The Negative" and "The print" are books that I have only read slightly, but are considered to be as great as the Camera. Many of the themes he discussed are still valid since we have only substituted emulsions for sensors. Having such a vast amount of knowledge written down by The Master, is a complete treasure that needs to be in your bookshelf for sure. 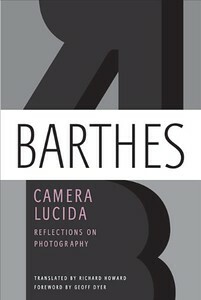 Another great book written by this important figure of the photography universe. 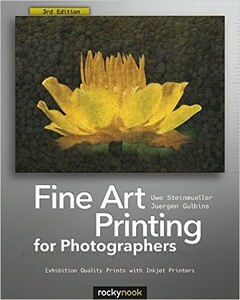 This book includes a breakdown approach of 172 curated photographs. The selection includes work from the all-time masters, as well as amateur work and even vernacular snapshots. The purpose behind this juxtaposition is to analyze almost in a SWOT style text, the challenges and opportunities that all photographers endure in their career. The reason why I think this is an important book for you to become better is that it can be seen as an inspiration, or even as scale, that will ease the emotions of all photographers that want to be great fast, and think that this joy happens spontaneously. When I read this book, I felt like I was been drawn back to earth, but with parental care, it was an awesome experience for sure. This book is an important reminder to all us photographers that we are the carriers and protectors of a great responsibility. 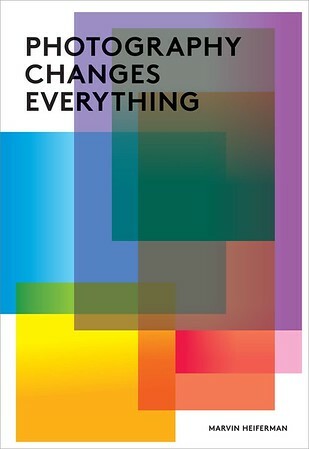 Photography changes everything is an innovative compendium of essays that speak about photography changing the way of doing, perceiving and understanding almost everything. This is a great book for every photographer to read in order to become better because it awakes that hardly ever seen truth about photography in our minds. I've always been a book lover, so Barnes and Nobles is always a good place for me to spend some time when traveling to the U.S. I still remember that day I entered that store and immediately went to the Photography section just after buying my first DSLR camera. I was naïve and impulsive, and some great force guided me to buy this specific book out of everything else that was in the shelves. This is the best thing that happened to me in order to craft my own style of imagery in terms of development. This book for me is like the bible, and I revisit it constantly. 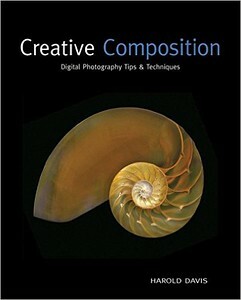 Thanks to this book I understood the importance behind developing a RAW file with a clear purpose in mind. 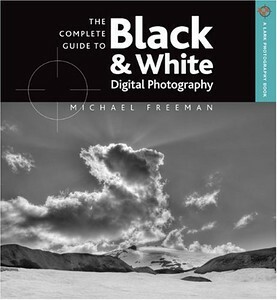 If you are a black and white photography lover like me, this is the best book that you could buy. Modern and Contemporary Photography wouldn't be what it is today in terms of art if it wasn't for the devoted, passionate and intense work of John Szarkowski. 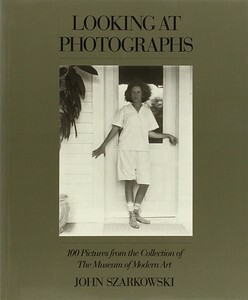 He was an important curator at MoMA, and he centered his vision on photography. Here Szarkowski shares his way of seeing and reading images, which is something we can't afford to lose in terms of photography evolution. Doing a deep and contemplative reading of images is important because we are the reflection of what we consume, and if we consume photographs, and we digest them well, we'll produce better images as well. Among the outstanding figures represented here are Hill and Adamson, Cameron, O'Sullivan, Atget, Stieglitz, Steichen, Strand, Weston, Kertész, Evans, Cartier-Bresson, Lange, Brassaï, Ansel Adams, Shomei Tomatsu, Frank, Arbus and Friedlander. Some of these photographs are classics, familiar and well-loved favorites, many are surprising, little-known works by the masters of the art. Short and almost ludic to read. This book was published not so long ago by the French literary theorist and philosopher Roland Barthes. Almost like "photography changes everything", this book talks about the effects photography create in the spectator consciousness. Roland Barthes considers photography as irreducible to the codes of language or culture, acting on the body as much as on the mind. The well-known concepts of "studium" and "punctum" are widely explained here. In few words, the "punctum" is that small portion of the picture that "yells", and "studium" is the available context inside the picture that makes it easy to read as a whole story. These two fancy Latin words, will invite you to create meaningful work in every image you consider worthy of being published. 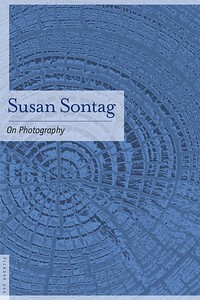 Susan Sontag was an American writer, filmmaker, teacher, and political activist. And just like Szarkowski, she wasn't known for her photography, but gave photography big contributions in terms of ideas. 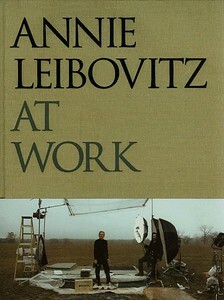 She was the partner of the great American photographer Annie Leibovitz, and this book has been considered as a selection of essays about the meaning and career of photographs. It begins pretty philosophical with the famous "In Plato's Cave" essay, which has worked as inspiration for movies like The Matrix and The Island, to quote a couple. This 30 pages essay invites us to brake prejudices and rules, which is a key feature in the work of many well-known artists. And speaking of Annie Leibovitz, this is a book that shows an intimate and sincere look to the photographer's workflow and way of doing things at the backstage. We as photographers are always in seek of inspiration, and we only center our fascination to the finished results of the photographers we love the most. But we hardly stop to think about all the work that has been done to create such images. This book explains what professional photographers do and how they do it in her own words. If this is not valuable knowledge to any beginner, amateur, and consecrated photographer, I don't know what else I could offer you to read. Eric Kim deserves a monument. 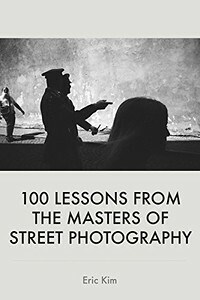 He has been passionately writing about Photography (especially Street Photography) in his blog, and he has collected 100 lessons from Masters of Street Photography into a free e-book that can be downloaded here. The lessons can contradict themselves because they are a collection of several lessons preached by various photographers, and at the end of the day, every photographer will adopt the ones that fit their personal voice. Every camera comes with a decent User Manual that will teach you very little about how to take meaningful images that will go beyond mere snapshots. Composition is the best tool you have for creating visually attractive images, and now that you have invested in some gear, you need a book that goes along with that piece of gear. In this book you'll find a friendly road into composition. Learn the best ways to compose images while getting great detail in every image you capture. The book has an innovative way of combining the best of the two worlds (digital and analogue experience of books) by offering a simple to access Flickr group dedicated to the book readers for them to share their work. Another great book on composition that speaks of the importance of mastering rules before breaking them. Cameras are great tools filled with desirable technology, but they don't take photos unless they have their shutter buttons pressed down. When I was starting to take photographs, a friend of mine lent me this book. I was using a small point and shoot camera, and thanks to this book, I surely made that camera count until the very last day it was taken away from my hands by a robber on the street. I don't consider myself a master of composition, therefore I'm still learning different ways of rendering my own vision of the world through photography, but this book was indeed a great way to start. I haven't had the time to finish reading this book, but I assure you that this is a great textbook for anyone with desires of becoming better in the photographic discipline. After reading some pages, I noticed something really interesting about the book. I love stories, and the book is filled with real world stories that will grab any photographer's attention immediately. It is awesome that a great master like McNally tell you stories that give other people, unknown people, but important in their worlds, the credit for the lessons he is indeed teaching in his book. These guys of Rocky Nook have books for everything when it comes to photography, but with this one they really nailed it. Many of today's photographers have little interest in making prints of their images because of a several number of reasons we are just not going to discuss. 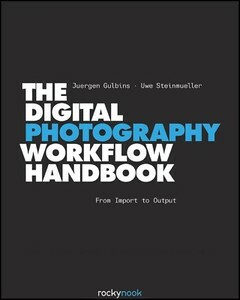 This book gives the necessary assets for doing print right, which is an important part of the photography workflow. Such assets cover color management, profiling, paper and inks. Workflow, workflow, workflow. We all have heard the word; I even mentioned it in this article introduction, but really, what is the Photography Workflow? Thanks to this book I've finally got to define it as the replicable and structured process of doing images from start to finish. Such scope spans from preparing the equipment to the final deployment of the print, and the internet version publication of the image. I haven't got an official medical statement about me having OCD, but this book really fed my obsession for structures and archive organization. This book is a rare revelation of an unknown world that was private for just a few people. Contact sheets was the way many photographers and editors efficiently flagged images that were good for publishing or printing. It was part of the entire workflow, and is really curious to see the creative process of the great photographers of one of the most mythic agencies in the world. 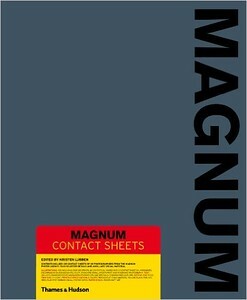 Magnum Contact Sheets is rich view of the other images that accompanied a lot of iconic images captured by the agency's photographers. Since Cartier-Bresson's Decisive Moment theory we have this prejudice that iconic images resulted of a single shot, and thanks to this book, we can see that they were not single images taken by these talented photographers. By watching their contact sheets, we can see a more human side of them, with mistakes and not so striking images as the ones they and the editors picked for publishing in their times. Knowledge sources are getting broader as time goes by, but even when the internet can offer us a vast world of wisdom, books are still the leading asset for knowing more and becoming better in everything. Travel Photography is not outside this scope. 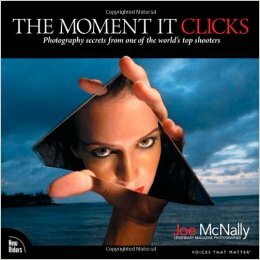 The books that we just briefly mentioned are those that I personally consider to be great sources of photography knowledge. 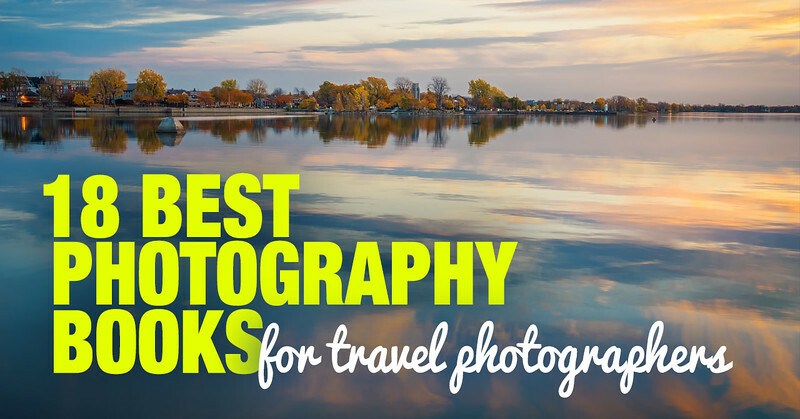 All of these books are loaded with content that varies between dense and easy-to-digest literature, all of which provides the necessary skills for becoming better travel photographers. But, remember that none of these passionate tips and tricks found in any of these books will work if you don't put them into practice. Many travel photographers limit themselves to only shooting when travelling. I encourage you to practice every time you can in order to make your workflow leaner and more agile. You can combine all of these books loaded with technical knowledge with coffee table books that can give you a richer, inspirational experience far above any images that can be found on the internet. Hopefully, we'll do an entire text dedicated to those books as well.